Madame Alexander's Storyland dolls continue to become life-long friends to generations of children, as well as adults. 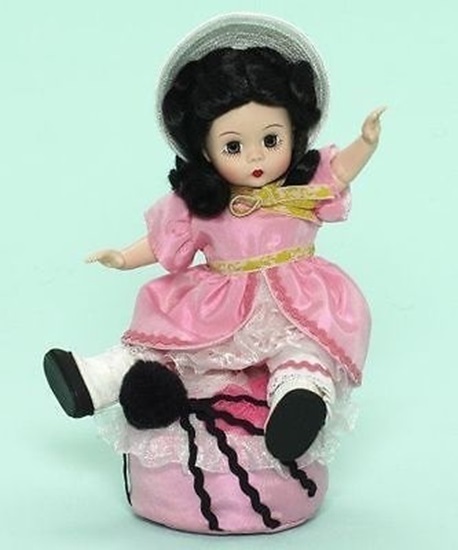 "Miss Muffet" is dressed in a light pink taffeta dress complete with an oversized white bonnet. Her accessories include an oversized matching cushion for her to sit on complete with spider applique. She is perfect for ages 14 and up.